Location. They finally got new sunbeds for the pool area. Location. 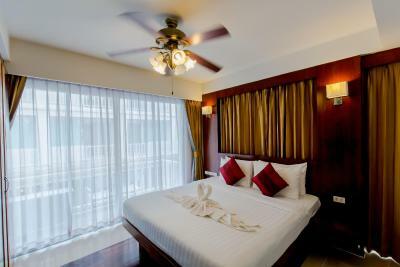 Close to all the hot spots of Phuket. Everything was about a 10-15 minute walk. The massage place inside hotel was awesome. Ask for Ploy and Dow for massage. Restaurant inside hotel...it was okay. There are better places to eat. Staff friendly. Mostly the staff was helpful... the pool is okay not the biggest but clean. 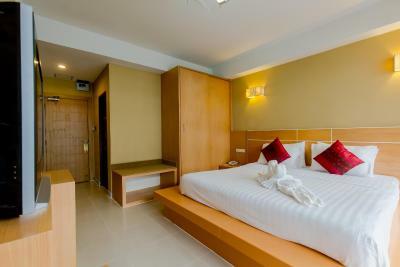 Very nice location quiet mostly close walking distance to the main highlights of Patong. 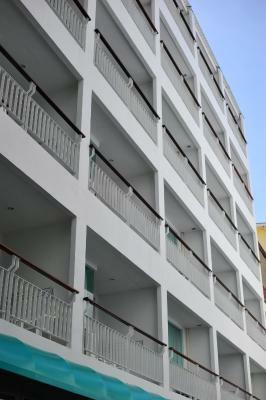 Rooms were nice and comfy with small balconies to the alley. Great value for money definitely. The staff was wonderful , the place is well maintained and in a great location ....just a 2 blocks from the wild party center and 100 mitters from the beach. 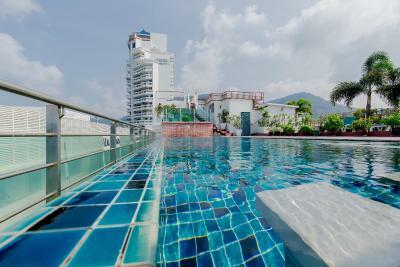 The rooftop pool is great escape and well maintained. The pics are a true 100% as it is . The neighborhood. Great massage at Your place massage, ground floor. Very close to beach. Staff are wonderful. 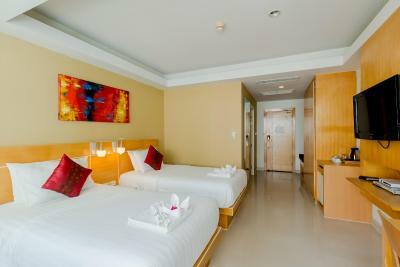 + Location + Bed, Furniture, TV and AC + Front Desk Staffs were friendly. + Room cleaning staff responded well. 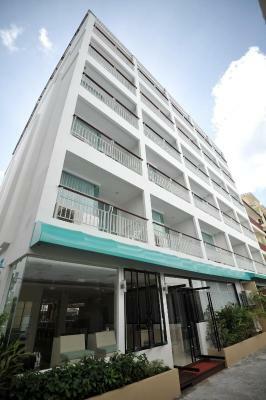 Great location only a very short walk to Patong beach. 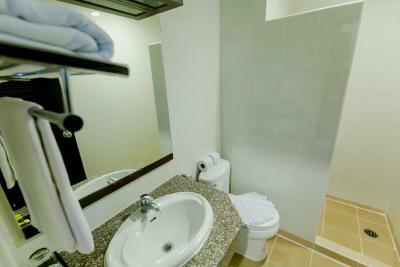 Nice pool, clean room, good staff. Restaurant in the lobby had very good. food. 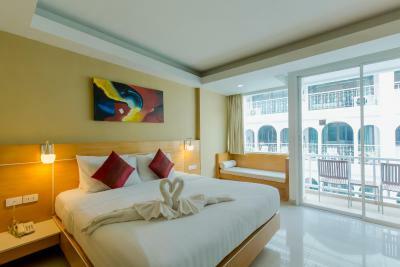 The Aspery hotel located in Patong center, very close to the beach(5 min walk) and Bangla road(10 min walk). 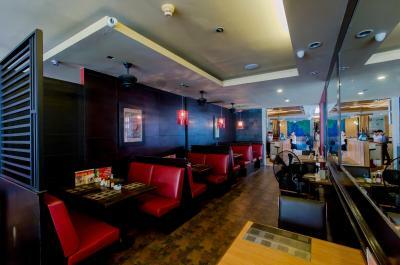 The breakfast was very good and the staff was very friendly. During our 8 days stay we had a very good service. For sure we"ll back again to Aspery (GREAT VALUE FOR THE MONEY). 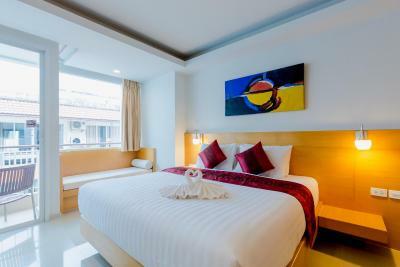 Aspery Hotel This rating is a reflection of how the property compares to the industry standard when it comes to price, facilities and services available. It's based on a self-evaluation by the property. Use this rating to help choose your stay! 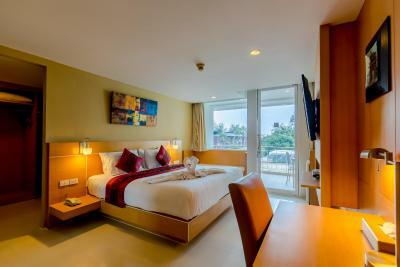 The modern Aspery Hotel features accommodations just a 3-minute walk from Patong Beach and overlooks the sea and mountains. 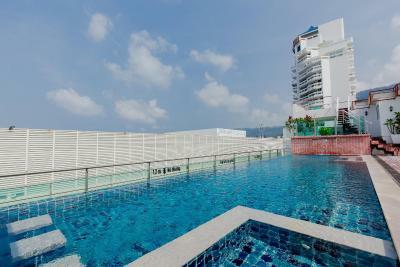 The hotel has a rooftop infinity pool and free Wi-Fi, which is available in the public areas. 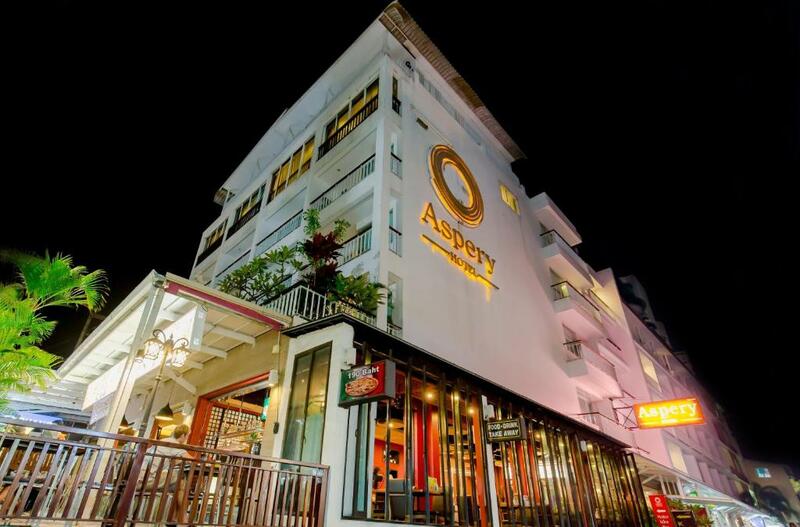 Aspery Hotel is a 10-minute walk from Jungceylon Shopping Center and Bangla Road. 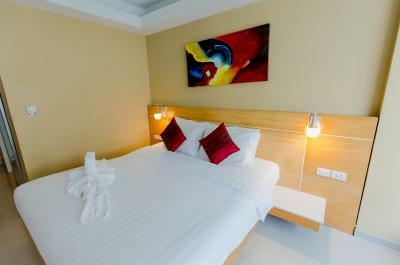 Phuket International Airport is 16 miles from the hotel. 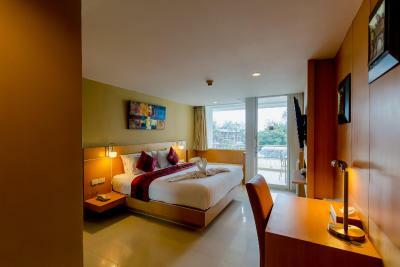 Along with warm lighting and glass bathrooms, rooms at Aspery feature classic wood furnishings and a flat-screen TV. 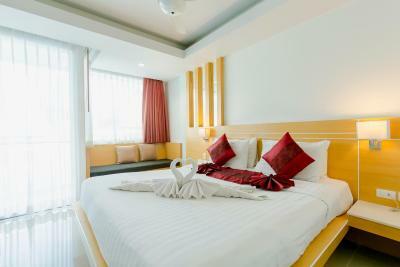 Guests can unwind with a traditional Thai massage or rent a car to explore Phuket leisurely. Interesting day trips in and around Phuket can be arranged at the travel desk. 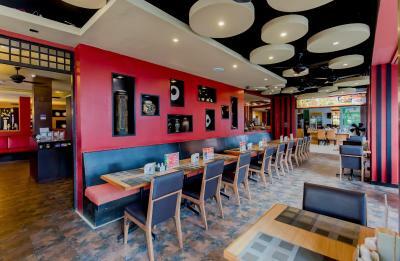 Red Peppers Restaurant features an open-air terrace, as well as a selection of local and European dishes. 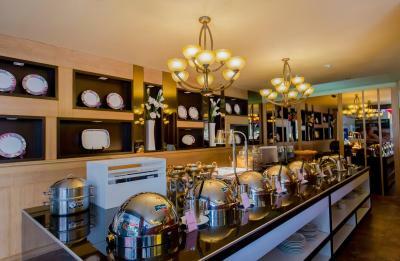 Refreshing drinks are available in the hotel’s lounge. 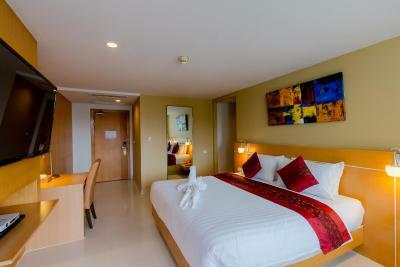 When would you like to stay at Aspery Hotel? 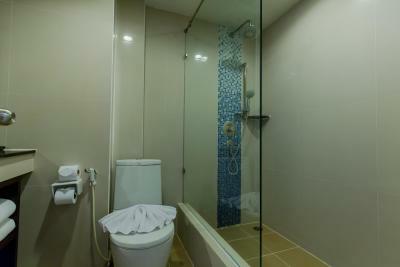 Rooms have a private bathroom with shower. 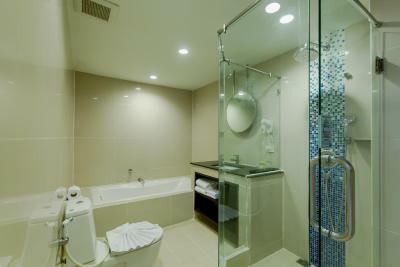 Spacious room featuring a bathroom with bathtub. 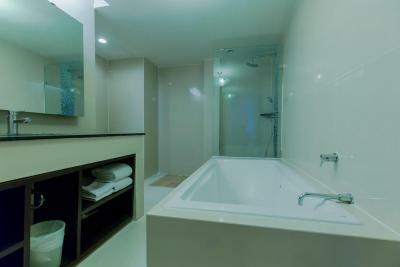 Spacious suite featuring a living area with sofa and private bathroom with bathtub. 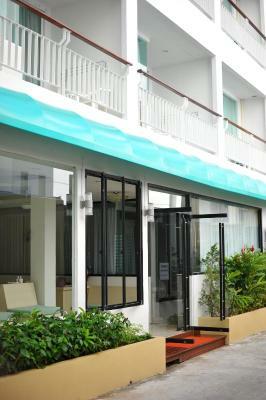 Air-conditioned room features a flat-screen cable TV and private balcony. Please note that the Standard Double Rooms are located in Aspery building 3 which is a 1-minute walk from the main building and does not have an elevator. 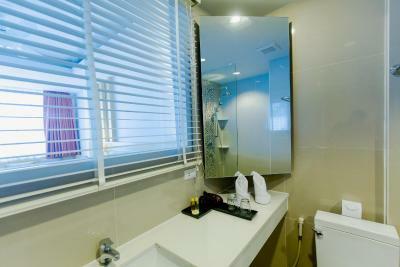 Air-conditioned room features a flat-screen cable TV and private balcony. A refrigerator, hairdryer and fan are included. Please note that this room type is located in a building without a swimming pool and is located a 3-minute walk from the main building. 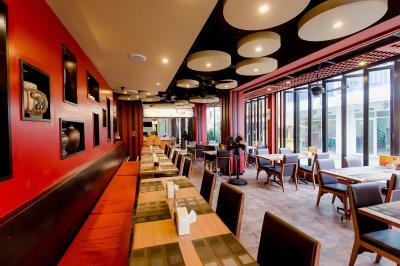 House Rules Aspery Hotel takes special requests – add in the next step! Aspery Hotel accepts these cards and reserves the right to temporarily hold an amount prior to arrival. Please note that room rates are for 2 guests. Any extra guests are charged separately. For the cardholder's protection, if the cardholder is not present, the full payment will be taken from the presented card upon check and the prepayment will be credited back to the original card. 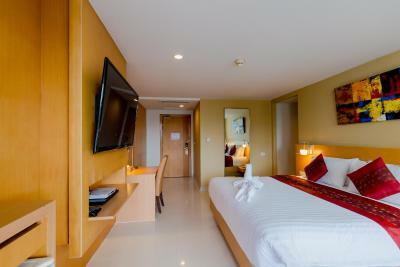 Please note that check-in and key collection take place at: 5/41-51 Patong Kathu Phuket, Phuket 83150. This is second time i stay this hotel. The room is okay but this time i need to climb stairs to 4th floors. it's very tiring. Others are good. The most comfortable bed ever! Like sleeping on a cloud. Nice pool. 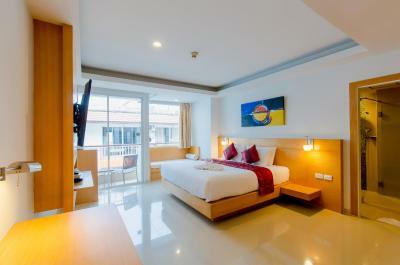 Big clean and cool room with everything you need. Close to everything. There is no gym . The room was small. 2 average sized people will feel crowded in this room. My safe in the closet was inoperable, so I couldn't lock valuables up until the next day when they got it working . The bathroom only had one working light located above the toilet. There was a hair dryer, but there is NO electrical outlets in the bathroom whatsoever. The shower barely worked, I bought a new showerhead myself and replaced it. The sliding door on the closet was off track and didn't work smoothly. I fixed it. I booked for 30 days but they had turned my door card off in one day. They reprogrammed it. However, the card would not open the door 2 days later. The man had to go in the room next to mine and come in through my balcony to access my room. He replaced the batteries in my lock and it worked, for another couple days. Again the card failed, went to the front desk, told them and they said it would work now. Went back to the room, card would still not open the door. I had to go to the front desk three times that day before they finally got it to open the door reliably. I don’t think it was the hotel but we booked a few extra nights which were confirmed by booking.com but then we found out the morning of our stay that the booking was cancelled. I was initially upset with the hotel but it was booking.com that confirmed and even guaranteed our stay and we were very upset when it was cancelled. 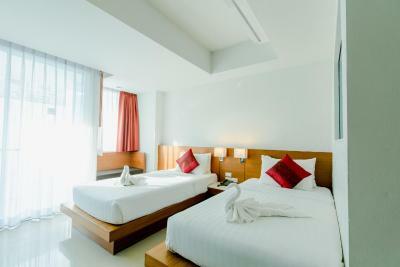 Nice stay, big room and location good. Lovely and efficient staff. Great value for money compared to others around. 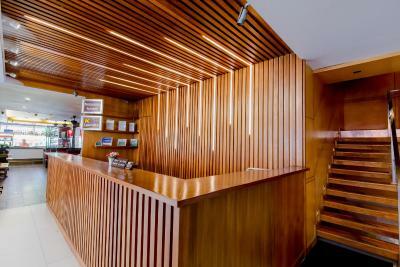 Very nice staff, great location and much cheaper than similar places I have stayed. overall ok, bit tatty in places but made up by excellent staff. The staff were very rude. When we were checking in they were talking amongst themselves saying that people who check in early are STUPID! My partner is Thai so she understood their whole conversation. Hot chocolate for me in the mornings! 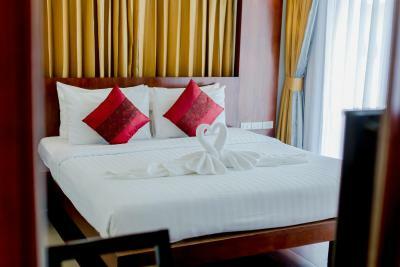 A more regular time for cleaning the rooms. The breakfast was fine and Mike the waiter was great! The room did not look like pics. Shower get hot sometimes. Seen roach in room. No wash clothes so please bring your own. Got to ask them to clean room. Pool smaller than picture. They only give you 1 room card. The air conditioner never got cold. It was really hot in room. Do not get tour thing from inside hotel, you can go on street to find way better deal. Hotel wanted to charge 115us for 2 people for Phi Phi island tour and down the street found someone to do 70us dollars for 2 people. water pressure in building no. 2 keep changing and the water temperature also. this makes it impossible to shower. only when we asked to check out the crew moved us to another building.